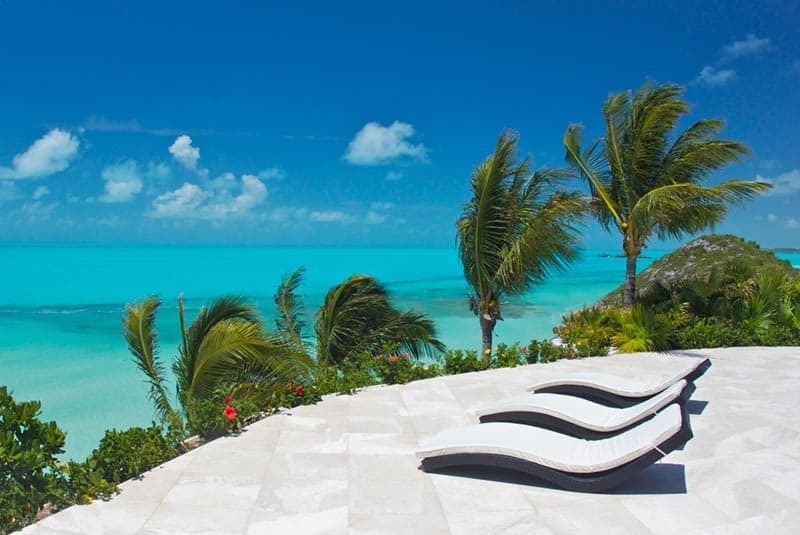 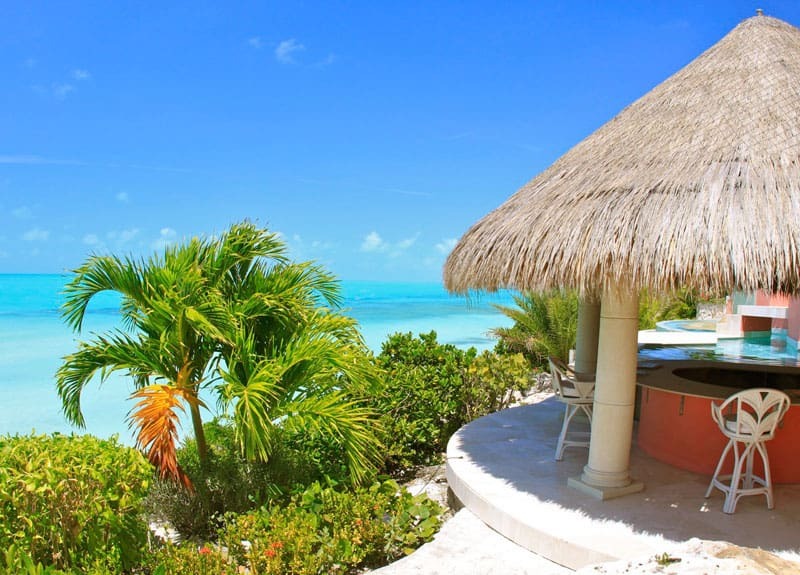 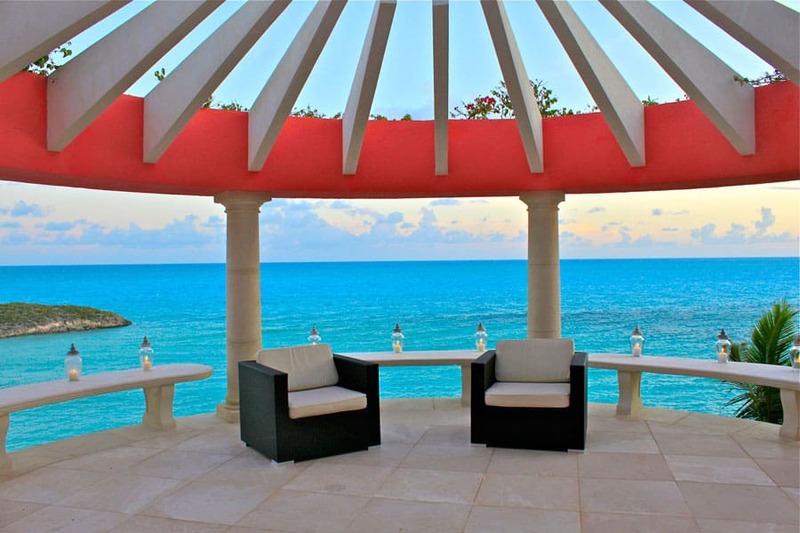 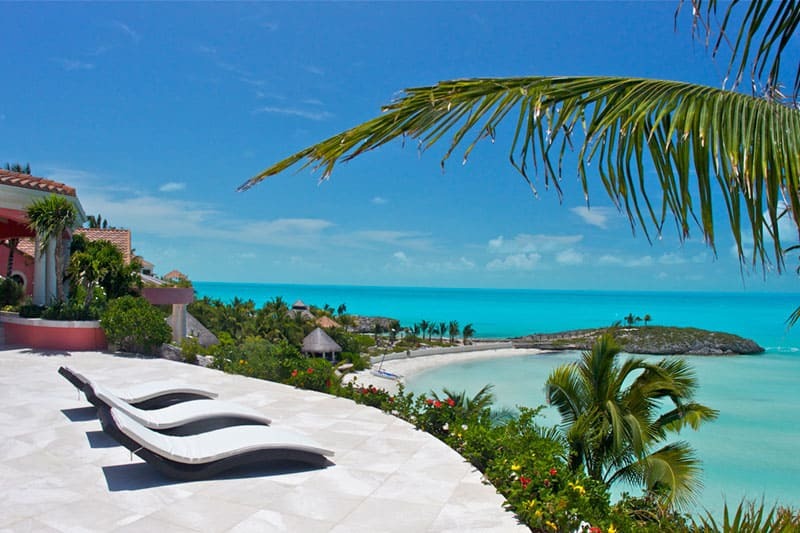 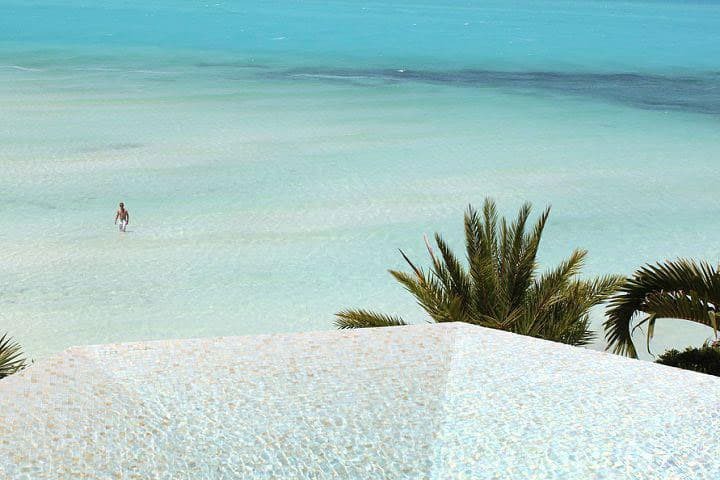 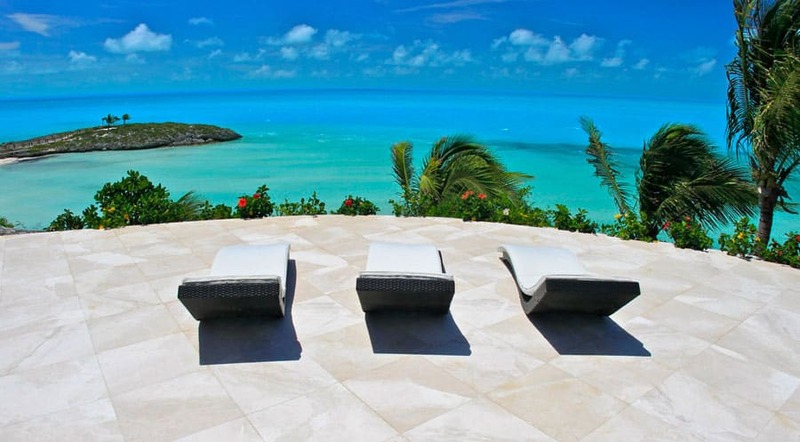 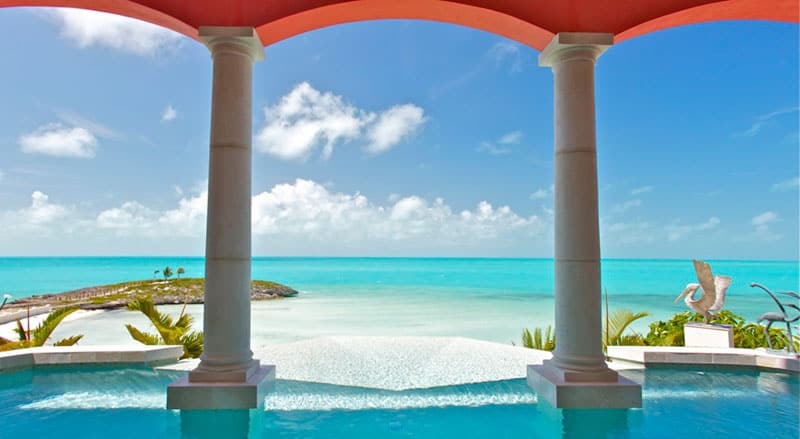 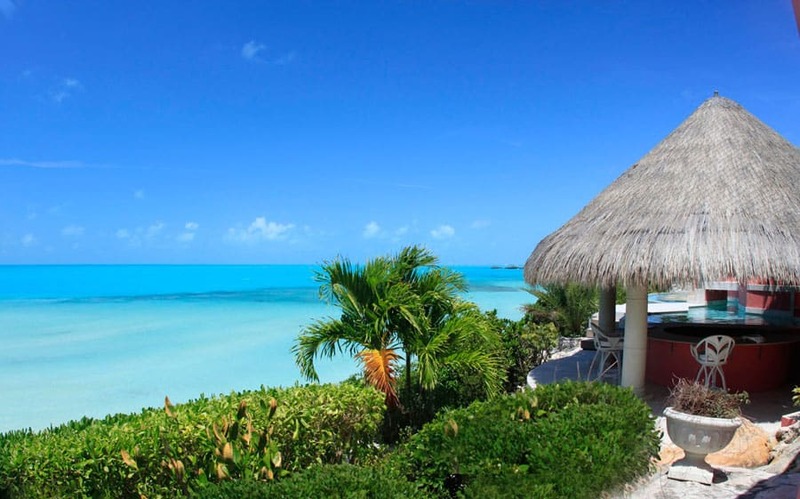 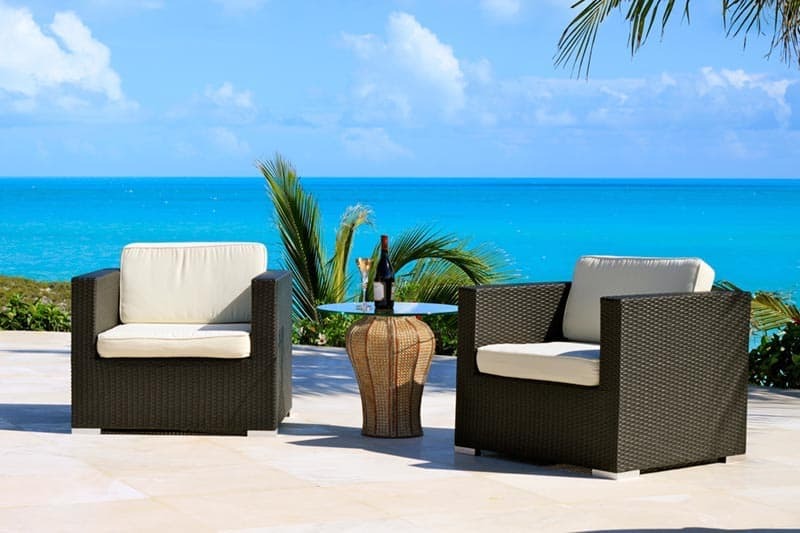 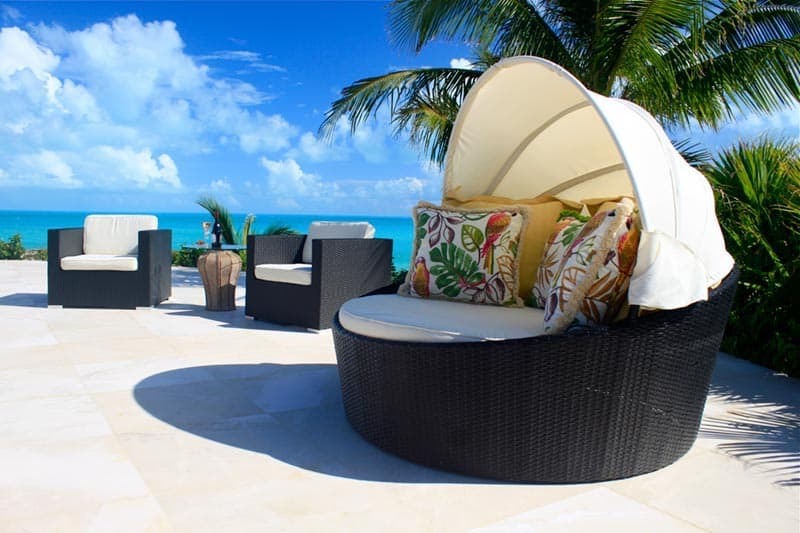 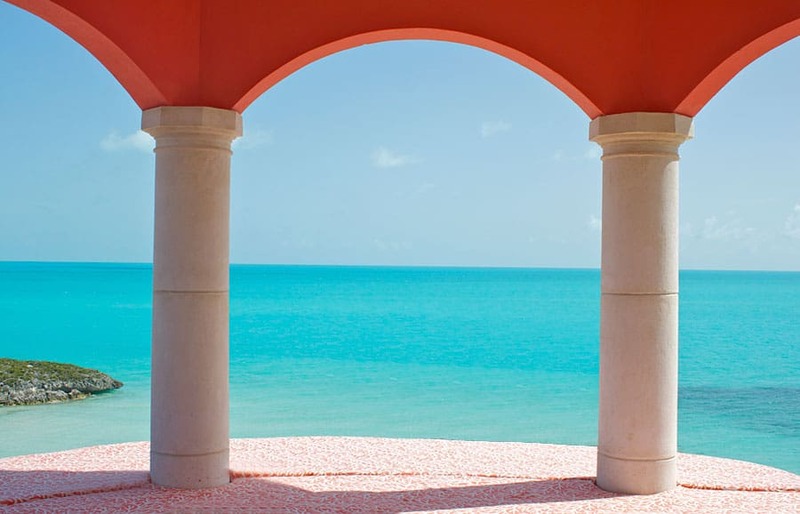 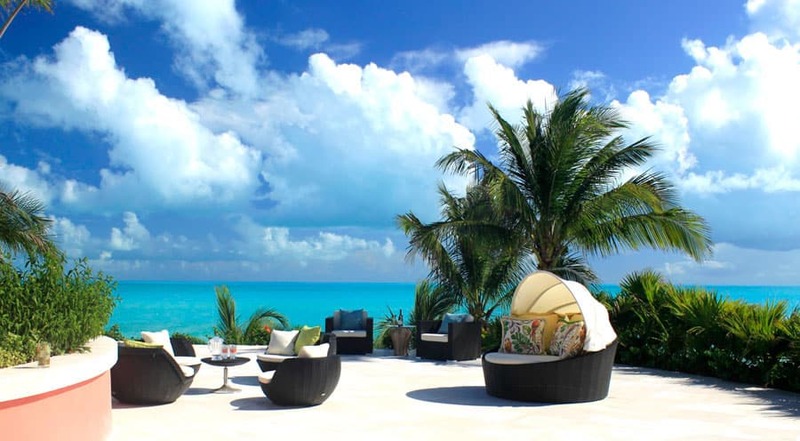 Are you looking for the perfect getaway in Turks and Caicos? 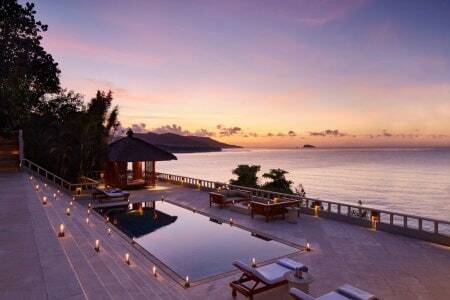 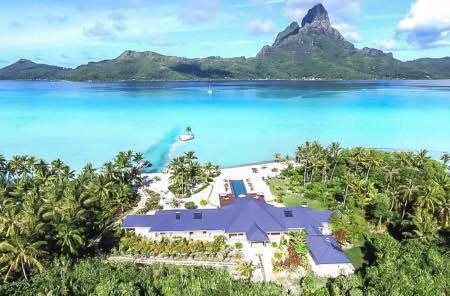 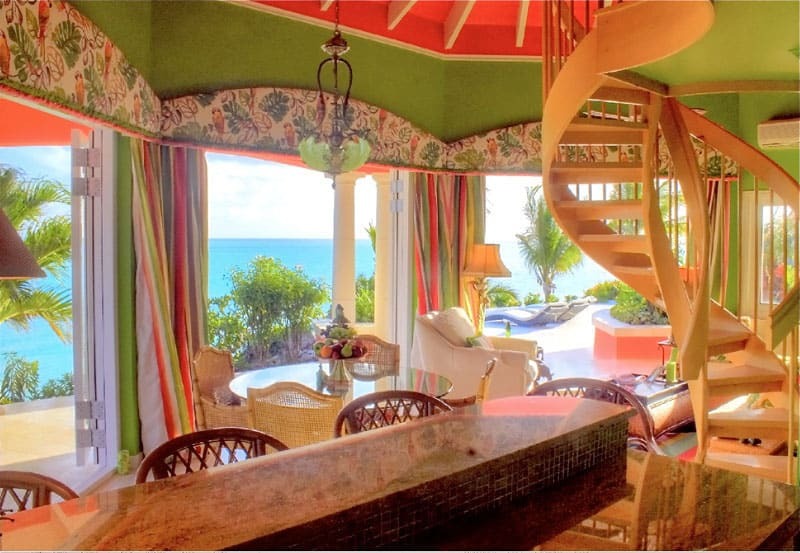 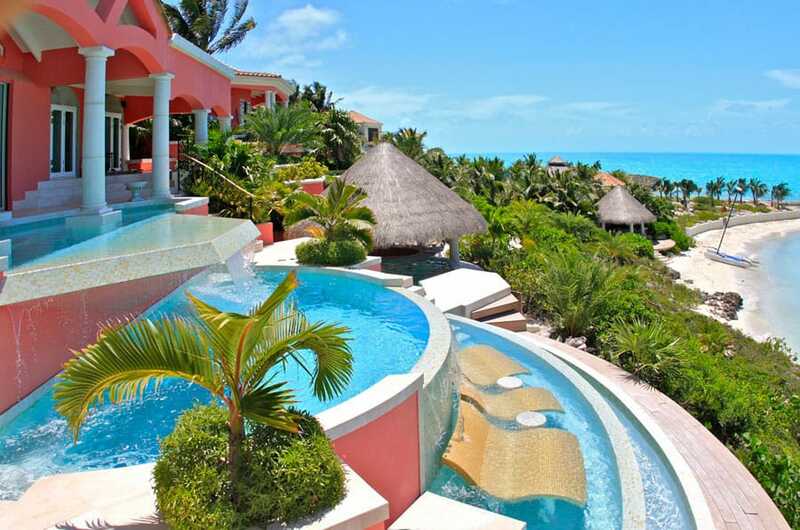 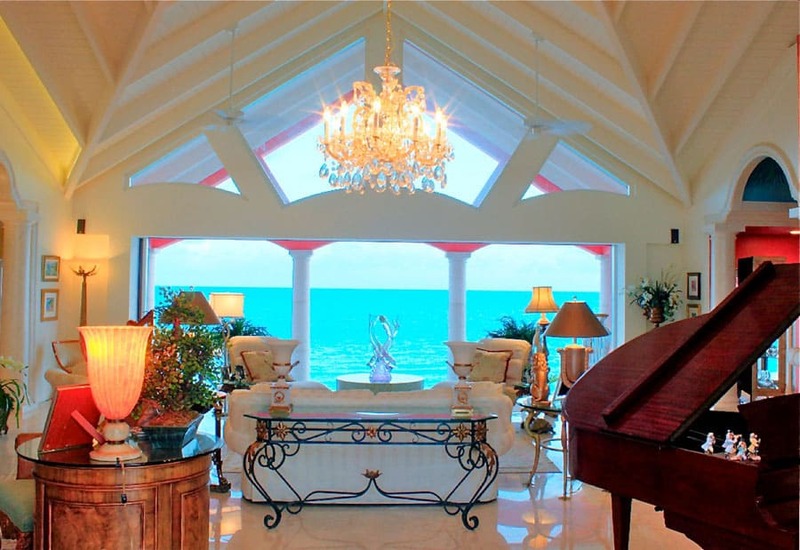 Villa Mani is the perfect luxury beachfront mansion you were looking for. 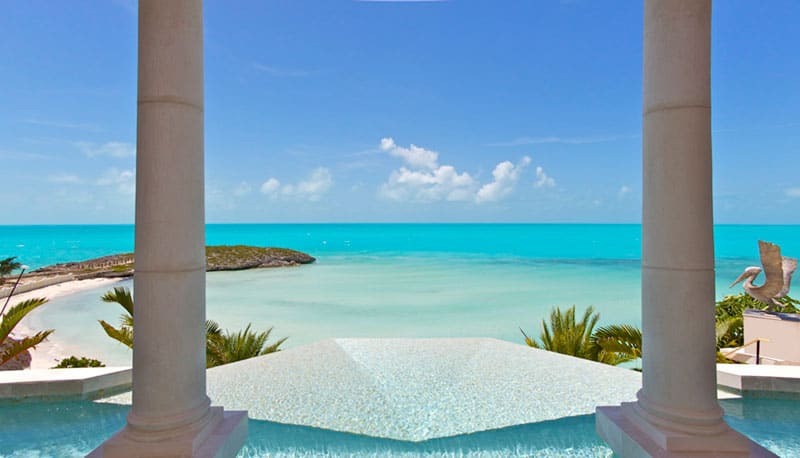 Just a 20 minute drive from the Providenciales International Airport, or your can reach Villa Mani from your private yacht, the deep water dock is set in a private marina, 350 foot deep. 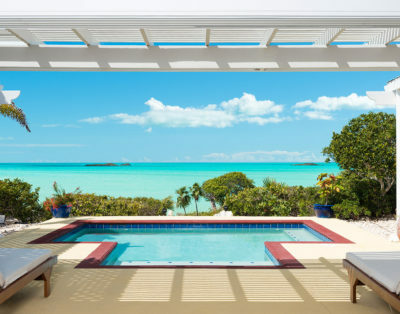 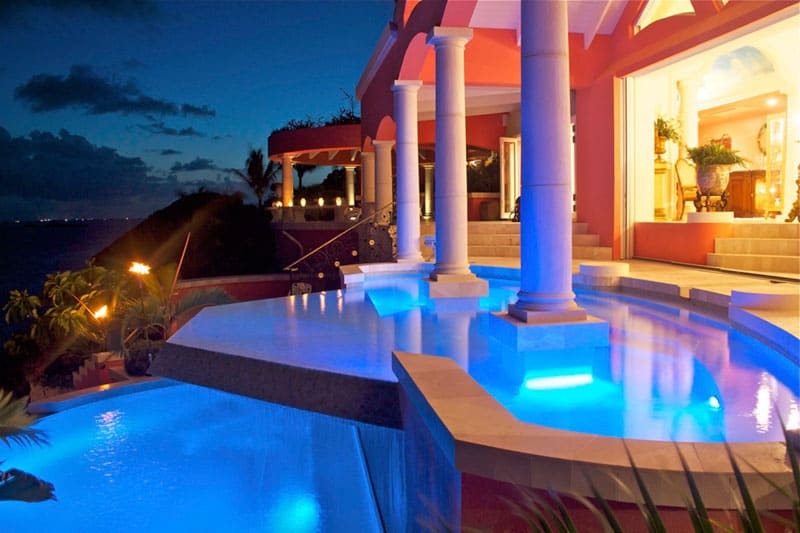 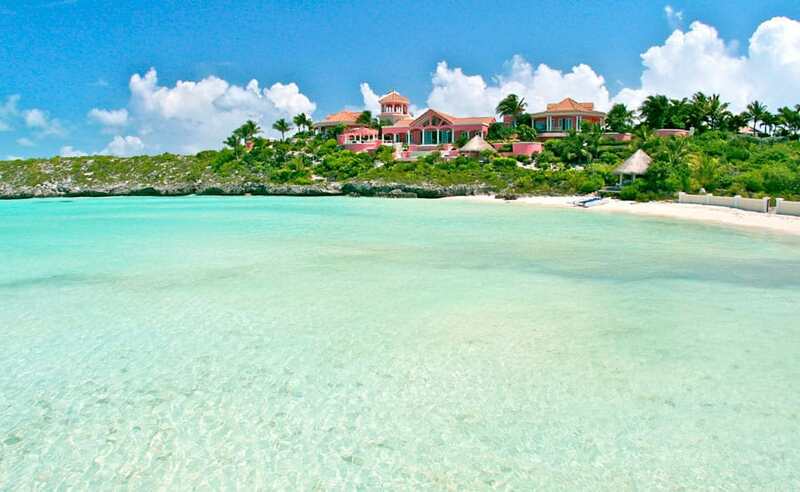 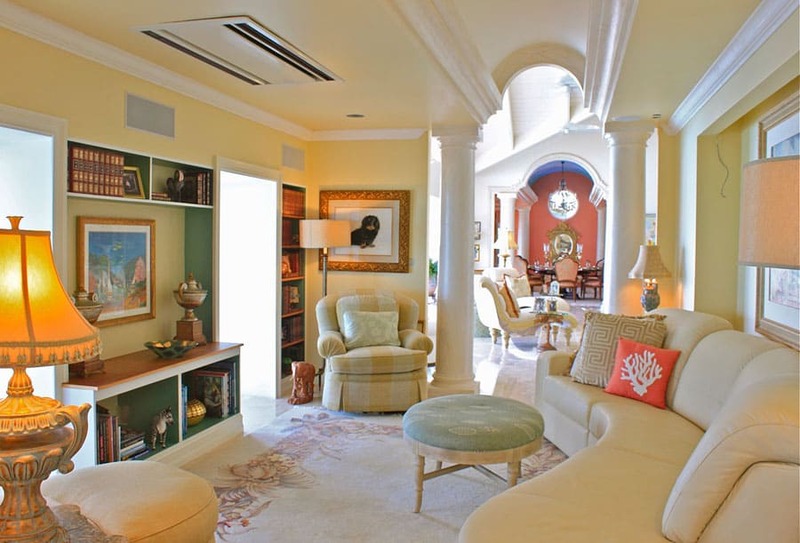 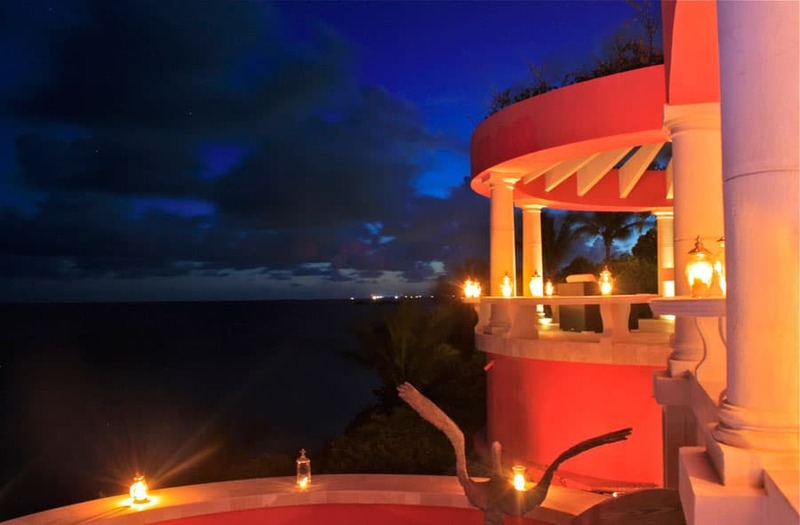 The villa is set on the southern side of Providenciales. 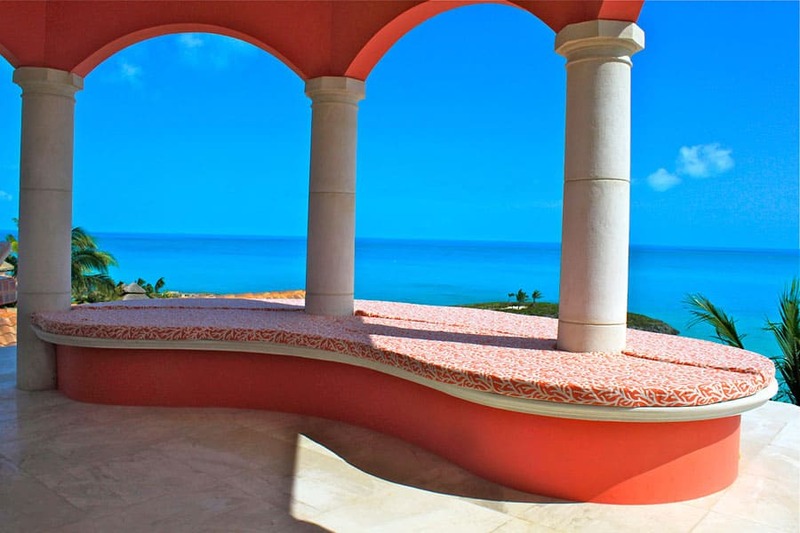 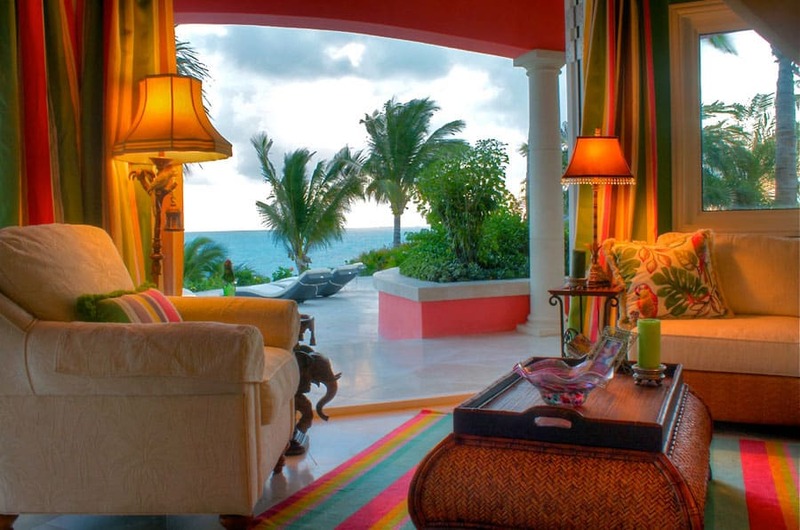 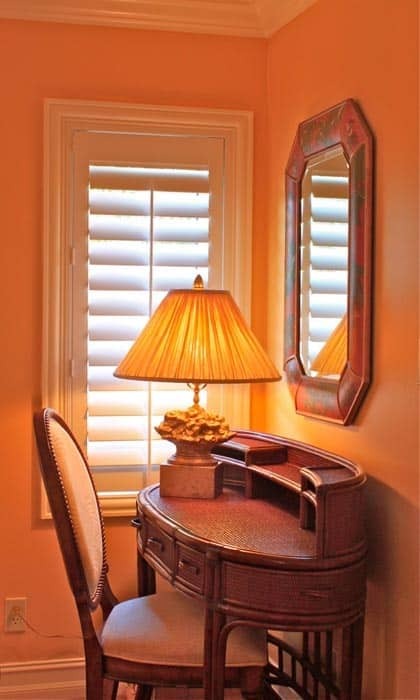 Your vacation at Villa Mani includes luxury services and amenities. 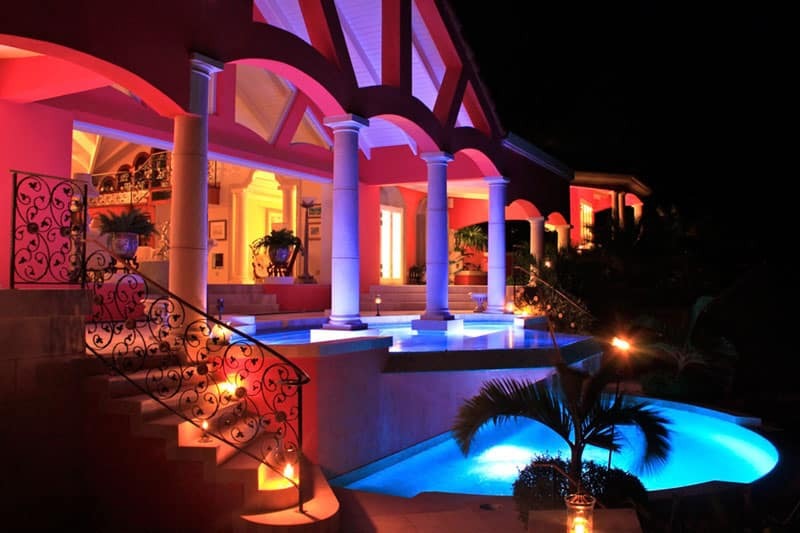 The professional staff will pick you up upon your arrival and they will also take you to the airport on your departure day. 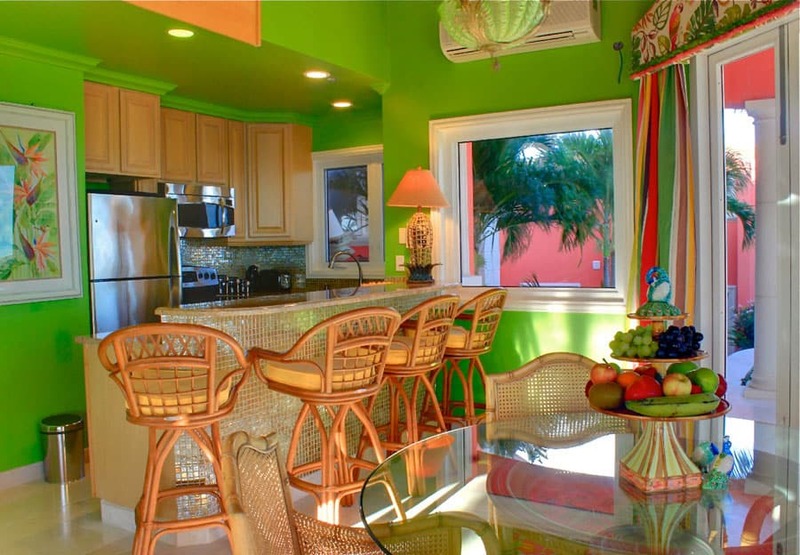 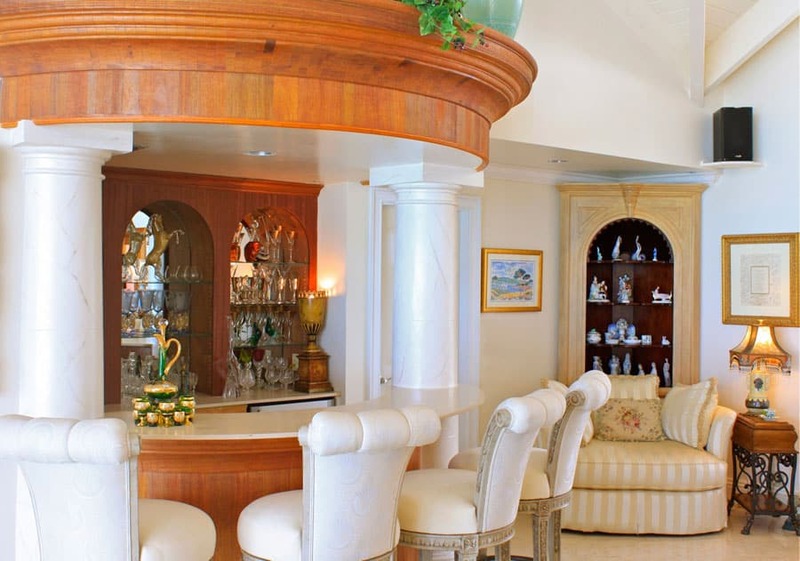 Your reservation includes housekeeping and laundry, grocery shopping services, your daily breakfasts, lunches and dinners will be graciously served in the dining room, or one of many porches or on the beach by the gourmet quality Villa Mani chef. 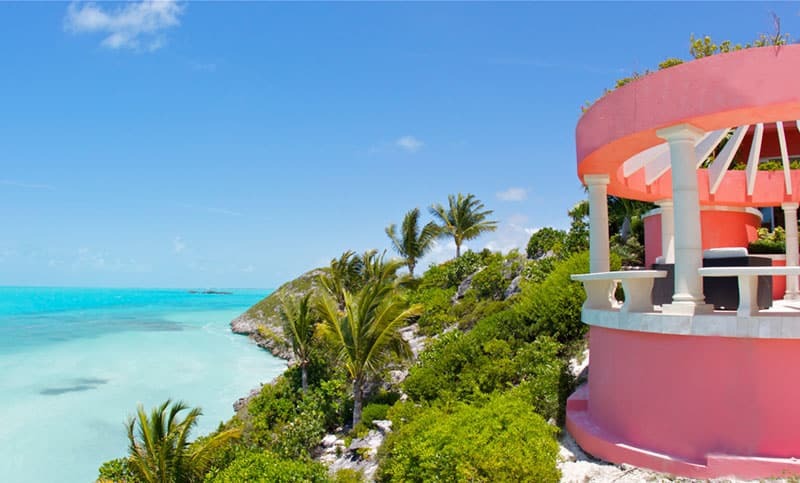 A 33 foot express cruiser (air conditioned) will be available right at the Villa Mani private dock for you and your friends/family members for island touring, snorkeling, fishing, and beach picnics. 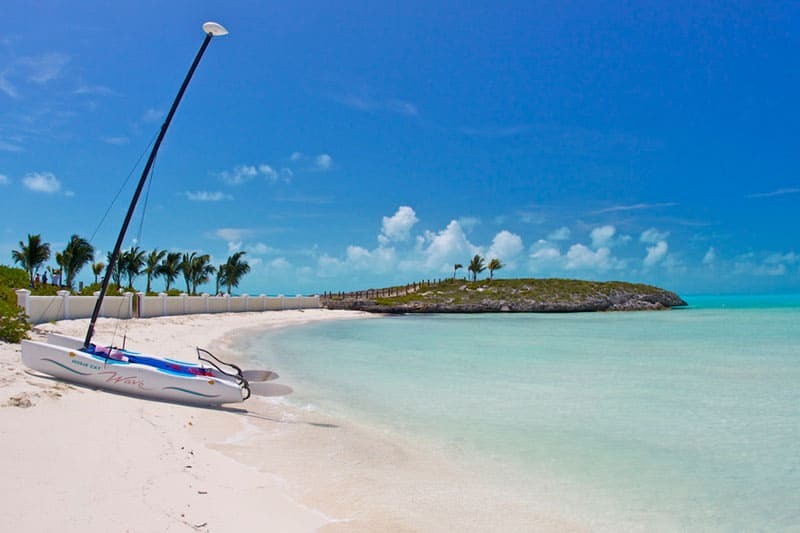 An advanced SNUBA system is built into the boat, it is the latest diving equipment so you don’t need to carry the tanks when you like to dive (depth to 50 feet), no certification needed. 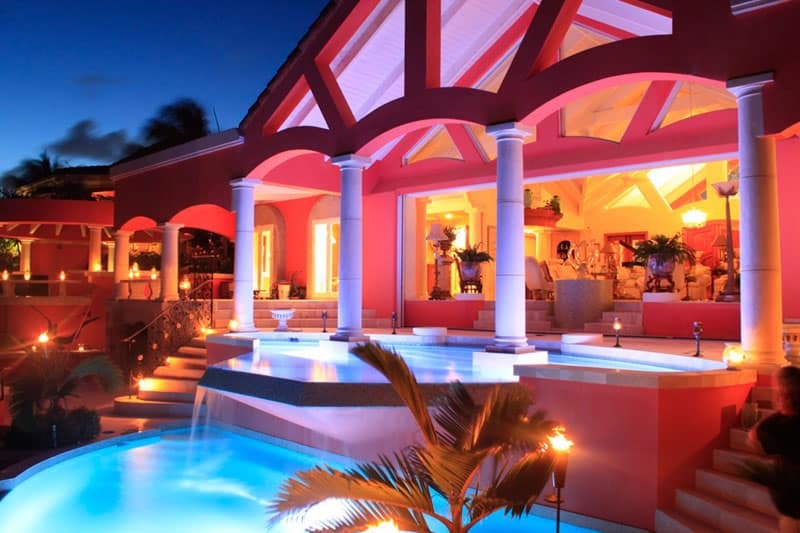 Villa Mani is also the perfect setting for your weddings and receptions for up to 150 guests or so. 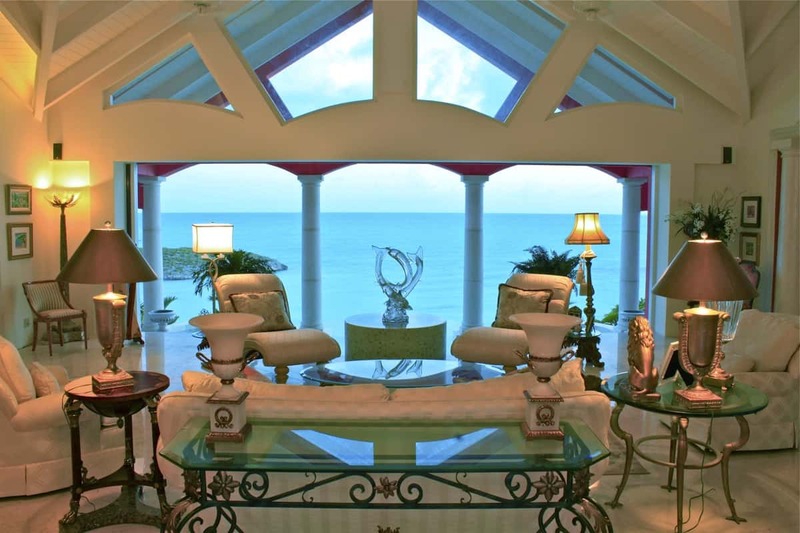 Bedrooms: the main house master suite with adjoining sitting room (with pull out sofa-bed), king bed, marina view, shower, bidet, safe. 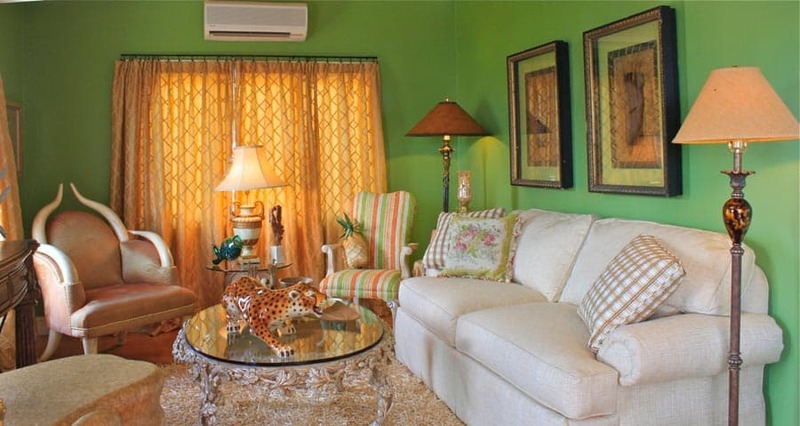 Main house front suite has a king bed, shower, pull out sofa in the sitting room and bar/kitchen. 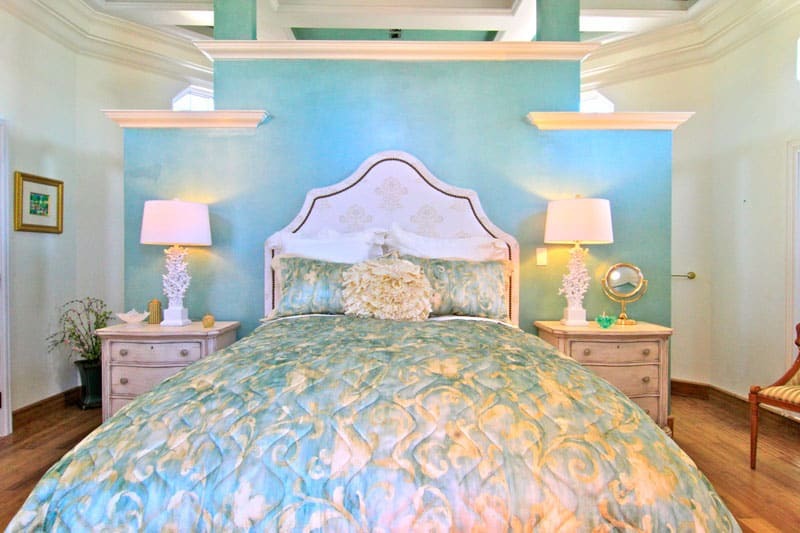 Octagonal tower ensuite bedroom with queen bed, ocean views, shower, safe. 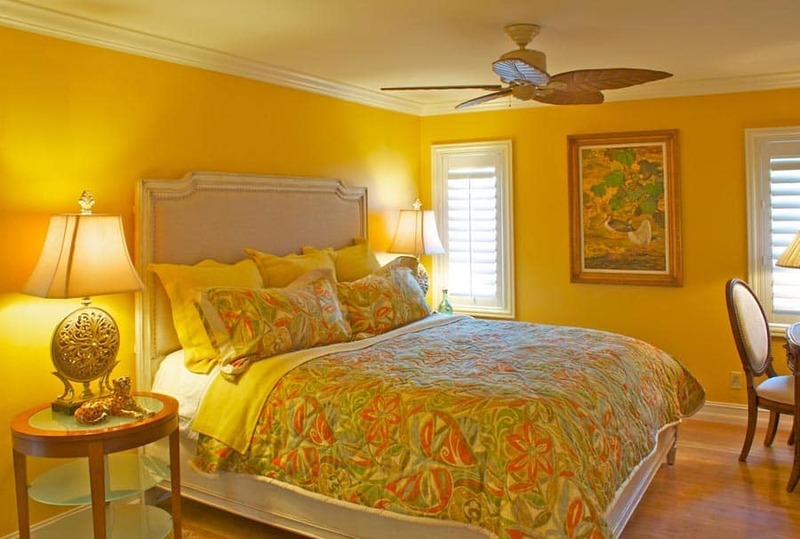 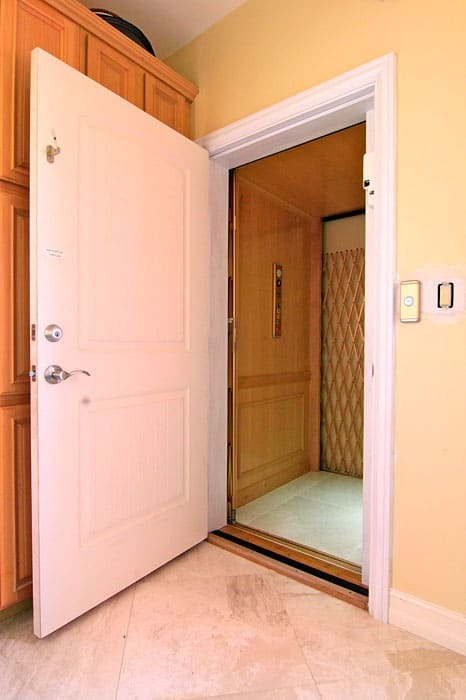 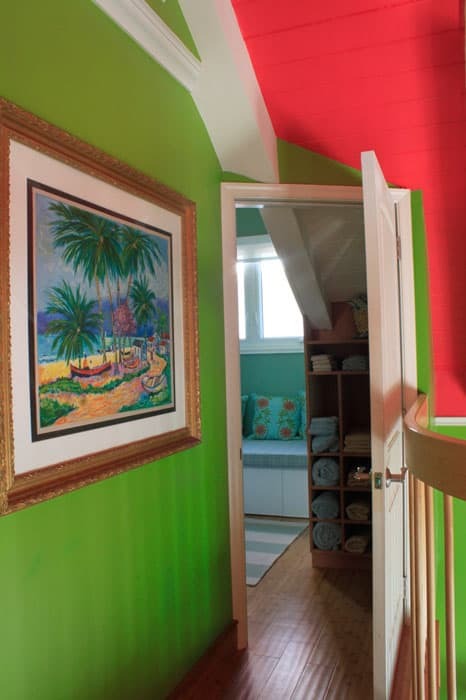 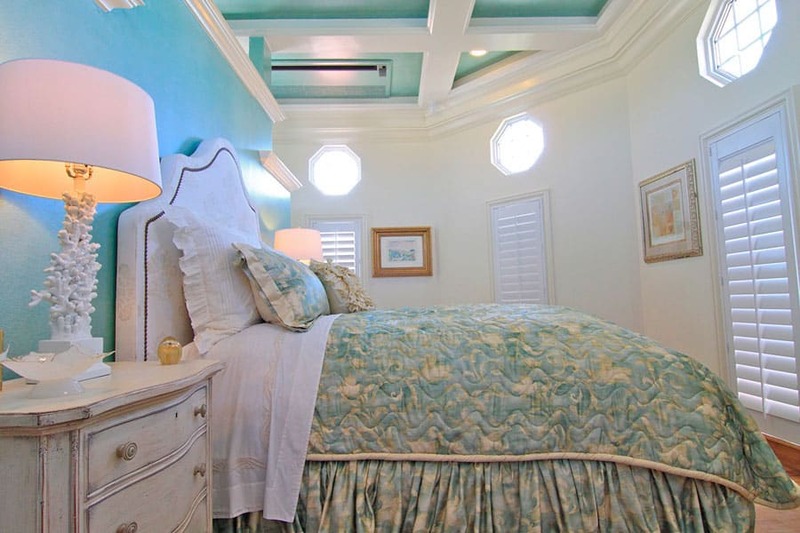 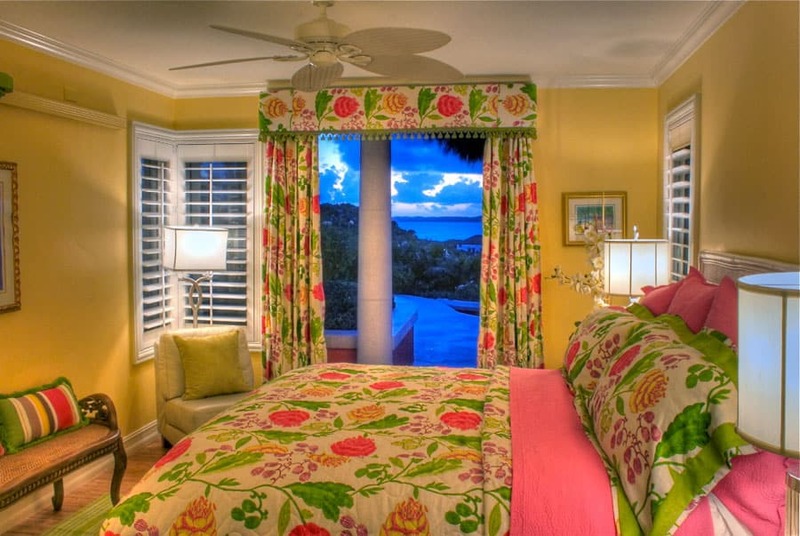 Guest house master bedroom with king bed, ocean view, shower, walk-in closet, patio, safe, full size washer and dryer. 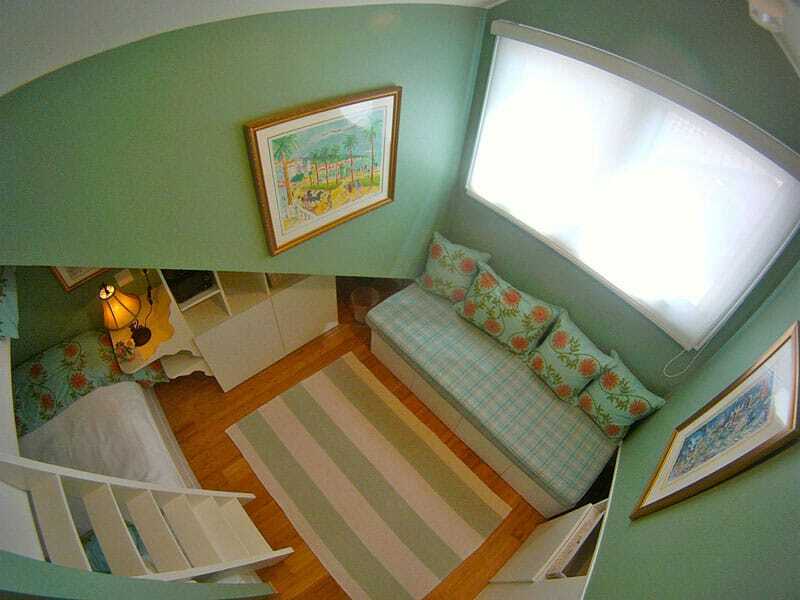 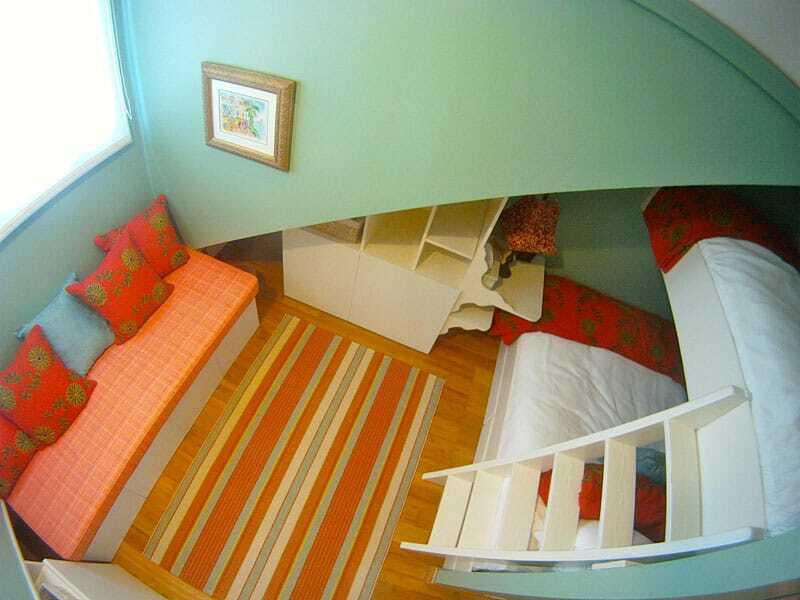 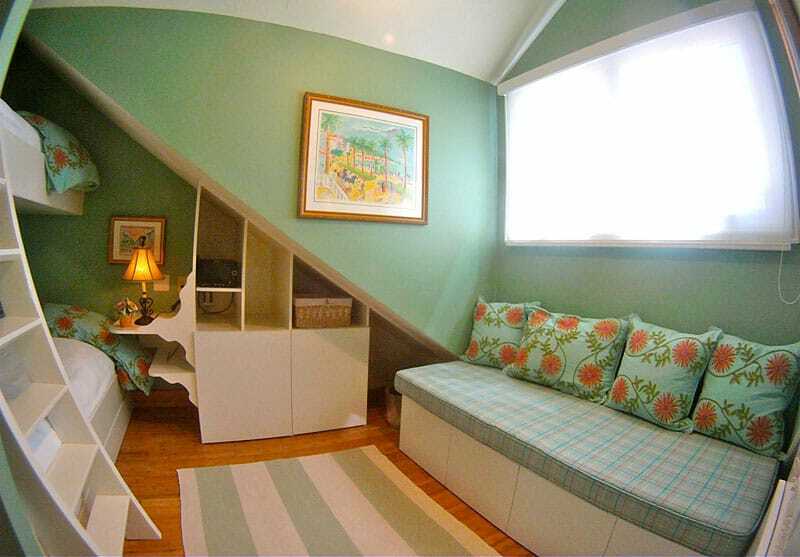 Two guest house bunk rooms with a full size lower bed and single upper bed upper. 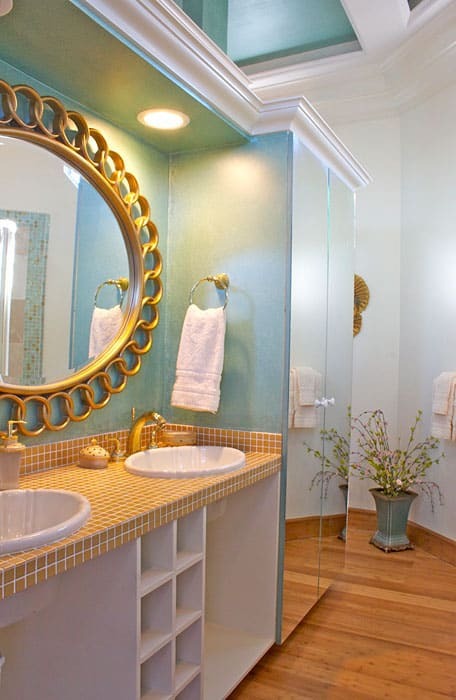 Compact but comfortable, sharing bath, tub and shower. 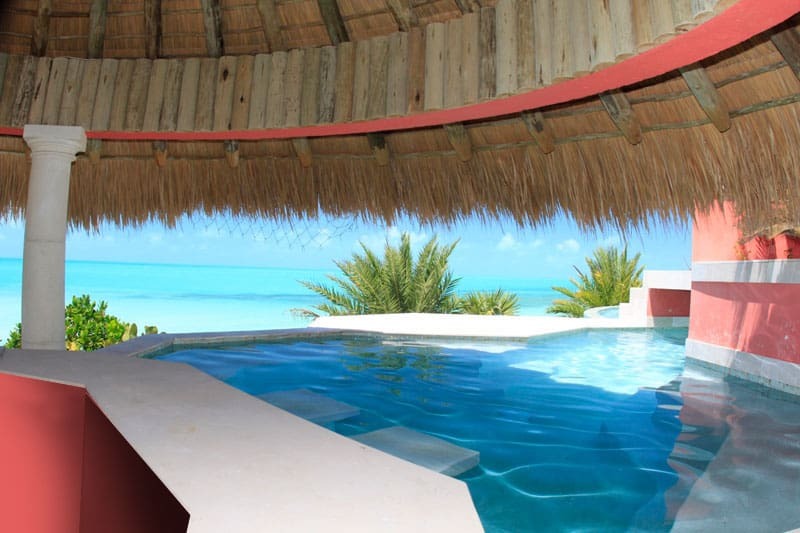 Luxury Villa Mani has a large protected shallow water swimming area, Beach Tiki hut with bar, refrigerator, fresh water shower, lounging deck, Hobie “club wave” sailboat, ocean kayak (catamaran design), stand up paddle boards Beach horseshoes, ocean volleyball, variety of inflatable “toys” and boards, secluded ocean side reading deck, and romantic hammock for two. 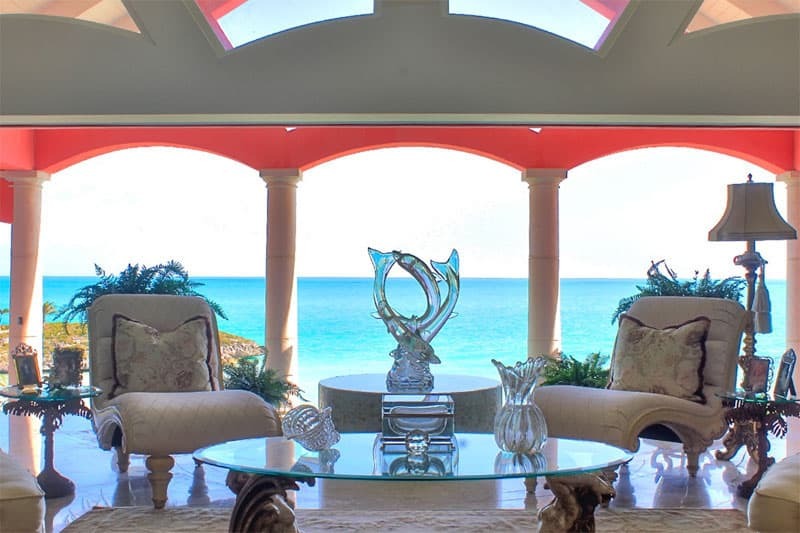 Villa Mani features 20’ wide glass doors that slide open to the elegant living room, designed with vaulted ceilings and sumptuous furnishings. 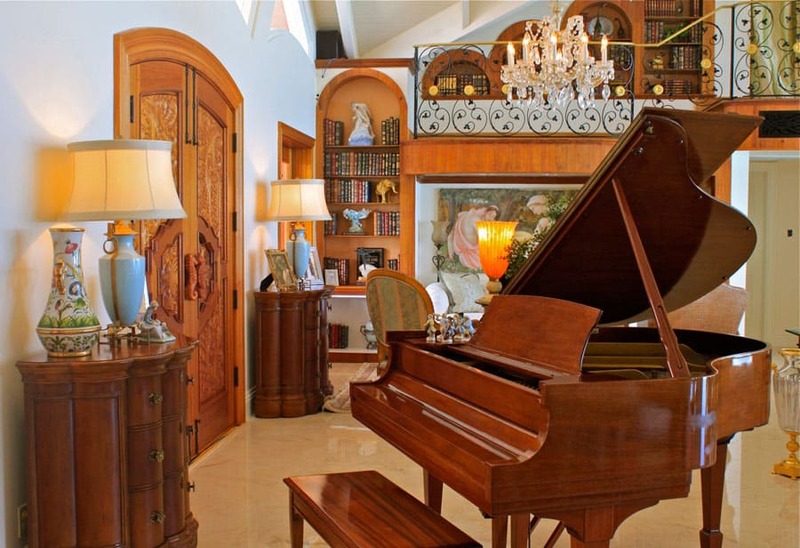 If you love music, you can practice at the villa, there are a Steinway baby grand piano, a celtic harp, a guitar, and a karaoke equipment. 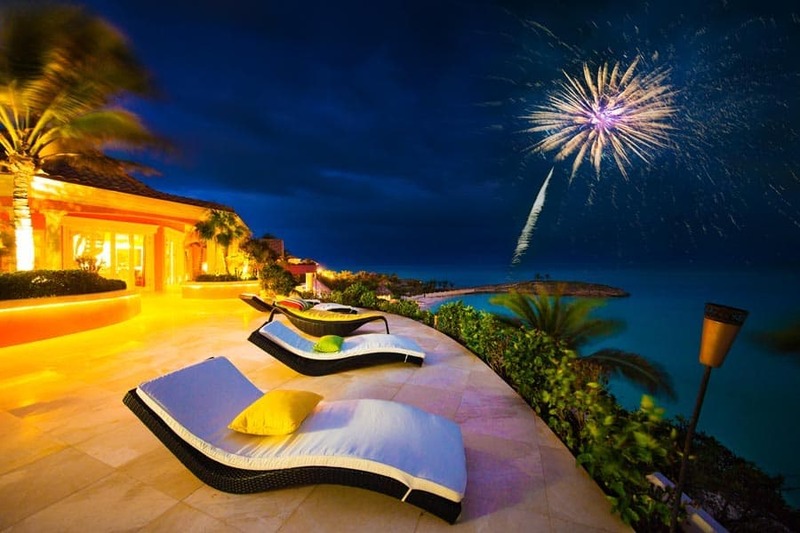 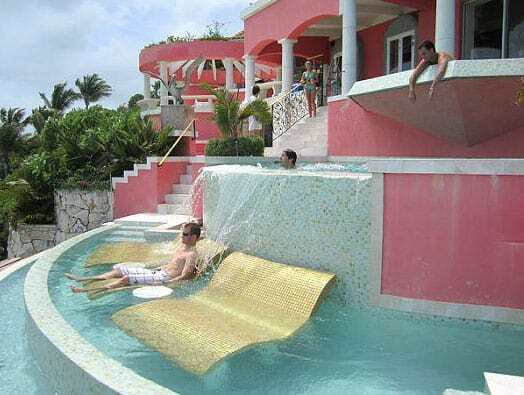 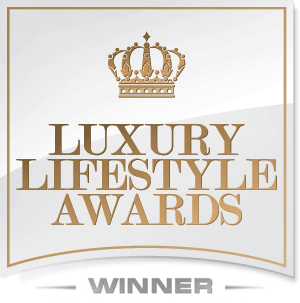 You will feel like you are going to enjoy a special occasion everyday during your vacation. 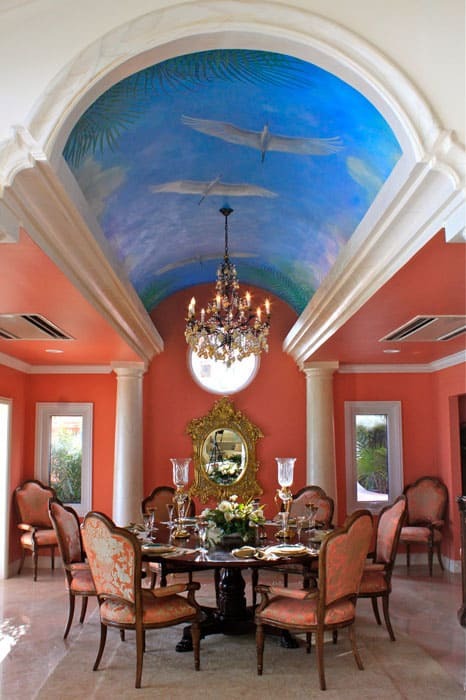 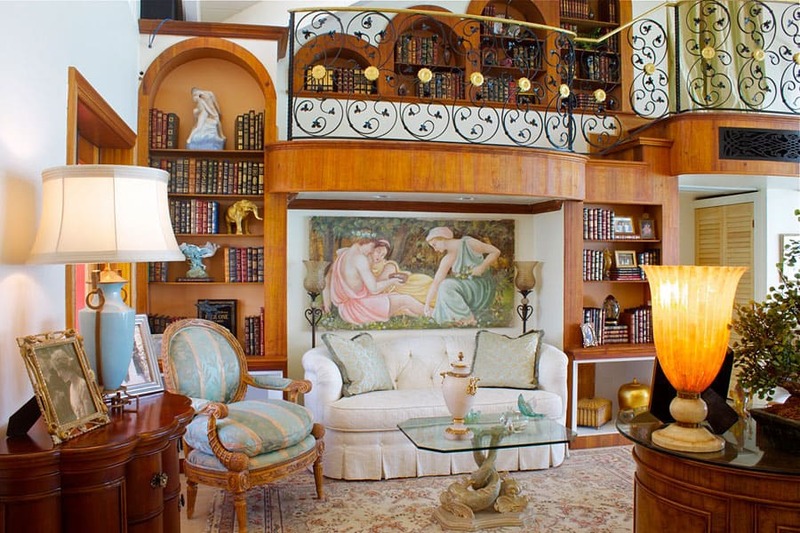 The ceiling mural by Palm Leach, the Murano Glass chandelier are just few details that make this luxury mansion an Haute Retreat. 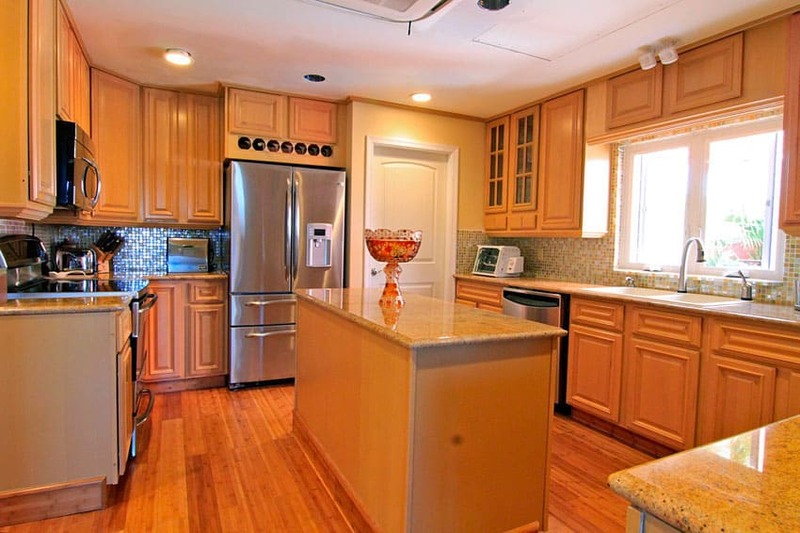 The kitchen is fully equipped with stainless steel appliances and ample counter space, but there’s little need to cook thanks to the private chef. 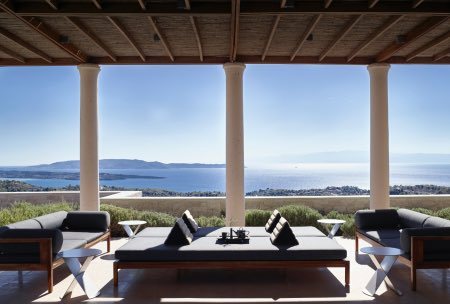 Villa Mani is perfect for weddings and receptions from intimate to large, and other special occasion celebrations.